Your child’s future is uncertain and the present poses many challenges. Having your child wander away from safety is a major concern of many - with almost half of all autistic children known to bolt or wander from safety. April is Autism Awareness Month - a time to raise awareness about the disorder for those who know little about it, and time to band together as one community to help each other and provide support for those who live with it and the devastation it causes daily. This week’s post is all about autism - how autism affects the brain, what science has to say about it, and what nutritional changes you can make that may help. Autism, often called autism spectrum disorder (ASD), refers to a range of conditions or a group of complex neurodevelopmental disorders. It is considered a “spectrum” due to the vast range of symptoms, skills, and disabilities that occur in people with autism. Some people with ASD are fully functional and able to perform most or all activities of daily living. Yet others require full-time support in order to perform basic daily activities. Such severe cases are devastating to families and can break even the strongest of parents. Symptoms of autism present themselves in early childhood. The most obvious signs appear between the ages of 2 and 3, and often affect the child’s daily functioning. It occurs without prejudice in every race and ethnic group across all socioeconomic levels. Currently, it’s estimated that 1 in 68 children have ASD, with almost 5 times as many boys diagnosed than girls. There are also many different types of autism, not just one. The different types are caused by various combinations of both genetic and environmental influences. Though there is great concern over the rising rates of autism in recent decades, there is no full explanation as to why. Research has identified more than 100 different genes related to the disorder, and indicates that genetics are involved in most cases. However, environmental, or non-genetic influences, further increase the risk in those genetically predisposed, even though no specific environmental causes have been identified. Imaging studies of those with ASD show developmental differences in several regions of the brain, suggesting that autism could, in part, be a result of very early developmental disruptions of normal brain growth. These disruptions may be the result of gene defects that alter brain development and the communication lines between brain cells. Additionally, autism tends to be more common in children born prematurely. Even though autism comes in many different forms, there are some commonalities that we should be aware of. Even as infants, autistic children may seem different. They may be over focused on certain objects, rarely, if ever, make eye contact, and fail to engage in typical babbling like other children their age. However, some autistic children may develop normally in infancy but start to withdraw or become indifferent to social engagement by the time they turn 2 or 3. Autism’s severity varies greatly between individuals. How severe it’s manifestation is based on the degree to which symptoms affect daily functioning. If you haven’t already done so, please sign up to receive my newsletters for more information about brain health, neuronutrition, lifestyle tips, and nutritional advice. Trouble communicating. This can include delayed language skills or a complete lack of spoken language. A significantly impaired ability to initiate conversation or sustain a conversation. The repetitive use of words or sounds. Trouble with social interactions. This can include an inability to maintain eye contact, an impaired ability to read or use facial expressions, and difficulty using gestures. A failure to develop positive peer relationships. A lack of showing, bringing, or pointing out objects of interest to others. Repetitive patterns in behaviour or activities. An intense, persistent preoccupation with certain objects. A rigid adherence to specific routines or rituals. Repetitive movements like hand or finger flapping. Though these symptoms are common, autistic children may exhibit only a few or many of these attributes. According to the Amen Clinics and their vast use of imaging studies and SPECT scans, most people on the autism spectrum display overactivity in a particular region of the brain. This is the same brain structure that tends to be overactive in those with OCD (Obsessive Compulsive Disorder) and ODD (Obsessive Defiant Disorder) behaviours. Overactivity in this same region of the brain can also cause people to get stuck on certain thoughts, worry excessively, or become rigid or inflexible in their thinking. This may also help explain why many autistic children have intense preoccupations with objects, rituals, or routine. As families of autistic children will often tell you, any change in routine - even a fun family getaway - needs to be planned well in advance, and the child must be prepped repeatedly for such an event in order to avoid a meltdown. Though there is no cure for autism, early identification and behavioural interventions can help with specific symptoms. And the best plan for an autistic child must be individualized - based on his or her specific needs. Conventional medicine focuses primarily on such behavioural and educational interventions in addition to medication when warranted. But an often overlooked area in autism treatment is nutrition. As I mentioned, brain SPECT imaging commonly shows a particular brain structure in autism that works too hard or is overactive. When this is the case, there are some natural options that may help, predominantly by calming that part of the brain down. Adopting a brain-healthy diet and boosting serotonin may be a great place to start. One way to do this is to choose foods rich in L-Tryptophan — an amino acid precursor to serotonin. These foods include wild salmon or cod, cage-free eggs, pasture-raised poultry like turkey or chicken, spirulina, raw dairy products, sesame seeds, nuts like walnuts or cashews, grass-fed beef or lamb, sweet potatoes, 100% whole grain oats, brown rice, quinoa, beans or legumes like chickpeas or green beans, corn, potatoes, and bananas. In addition, you can boost serotonin with exercise, by getting more safe exposure to the sun, improving the health of your gut bacteria (or microbiome), and by learning cognitive therapy techniques that work on calming the brian. You can also read more about how to boost serotonin here. Though boosting serotonin may help some people, it’s important to note that not everyone’s brain is the same. If other problems or issues are also present, additional serotonin may not help - and in some cases, may make matters worse. The best way to determine the right treatment for you (or your loved one), is to invest in a SPECT brain scan. If that’s not possible, consider a consultation with me. 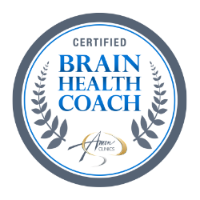 I’m certified in the Amen Clinic’s methods and, using a comprehensive brain health questionnaire along with your health history, can determine which regions of the brain need support and what types of support would work best. Though I am not a doctor and can neither diagnose nor cure any disease, including autism, my work as a Certified Brain Health Coach and Natural Nutritionist enables me to employ a variety of natural modalities to help anyone struggling with a brain health disorder. As always, I welcome your thoughts and value your feedback. Let me know what you think by dropping me a line or commenting below. Please share, like us on Facebook and be sure to subscribe to my YouTube channel.